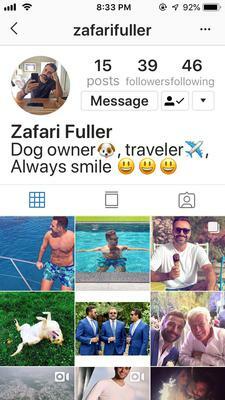 Ladies, beware of this man who introduced himself as Zafari Fuller on Instagram (IG). Met him on IG as he complimented my dogs and said he was a dog lover (he has pics of him and his lab). 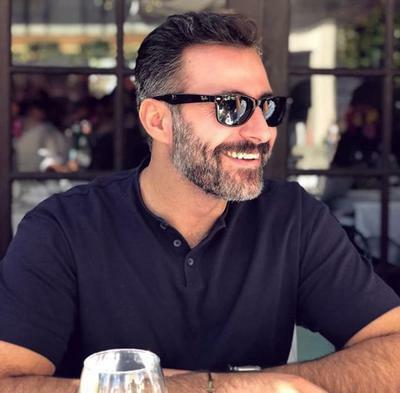 Presented himself as: widower (4yrs and counting), Lebanese refugee who moved to the US 20 years ago and says he's based in South Carolina, Petroleum Engineer in private contracting, currently overseas negotiating a contract (in Beirut). He said he changed his name from Ahmadi to Fuller because of the racial discrimination he encounters in the US and to honor the man who helped him as a refugee. Does not have a digital footprint on Google no matter how many searches you make. (red flag) When asked why he didn't have any, he claimed he was in the Witness Protection Program. Said he bagged a contract and was headed to China to buy equipment and supplies for his site. (this is what tipped me off, sounded similar to one of the comments). 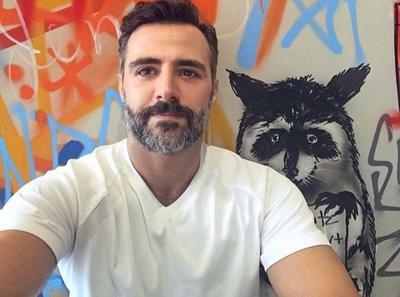 The Yandex reverse image search led me to several dating profiles of his - different ages, Russian, divorced instead of widowed and living in Philadelphia -- most of these sites are IP geolocation specific and I've had to use VPN to check out his profile on those sites. I asked for proof of identity when I confronted him with my discoveries but no reply yet. He hasn't scammed money from me yet, but was capturing my heart. He gives smart answers and is a very empathetic listener, but if you pay careful attention to syntax it seems that if they are a group of scammers, they have one literate/smart one to hook you for long chats, and then turn over to someone else with bad grammar for follow-ups. I suppose they thought I wouldn't notice since English is not my first language, but I know, speak and think in it better than my mother tongue. 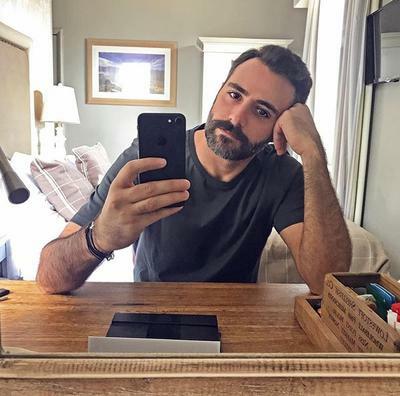 He probably isn't the man in the pictures sent to me (although I wish he was because I was attracted to those pictures and the whole image of himself he built up), and I feel sorry for the person whose pictures are being used, but I'm posting this here in the hopes that it may save someone from unnecessary heartbreak someday. May we all find true love someday. UPDATE ON MY ORIGINAL POST: Having caught him red-handed, I thought he would just ghost me (or that he was still busy photoshopping some fake docs to prove it). But he returned with a meek "hello" and I asked him if I was talking to a Nigerian all this time. He wouldn't answer but gave me his email address. I asked him what for, he could answer real time in chat anyway, but that was it. Since I have some throwaway email accounts, I wrote him there and "he" said: "I'm sure you know by now that I am not who I am claiming to be. I'm sorry for playing with your emotions. What I did was bad." Not sure though why he couldn't say that on IG. Maybe the boss was watching? Before hearing from "him", I also found out that he took down the fake profiles on the dating sites that I made screenshots of. Prior to this romance scam, they also used a pic of him (which he hadn't given me yet; I just discovered it during research) in a Bitcoin scam, but all social media accounts related to that scam have been deactivated. He is still currently using one of the pics I've posted above while on Twitter with over a thousand followers. Will update if and when he answers my follow-up questions. You did a great job investigating. I think you are right that they work in teams. I think the scammer who ropes you in is a female scammer, then they rotate and the attitude shifts to rude once they are caught, or you won’t send them money.